The emperor not only of fashion but also of l’art de vivre, Valentino Garavani is in a class all his own. 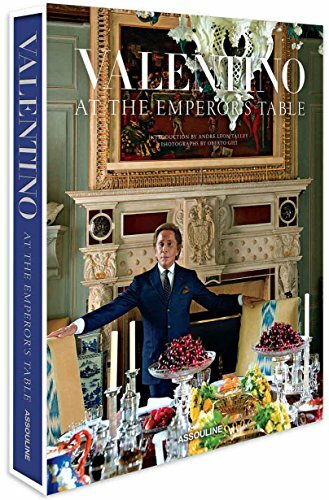 At the Emperor’s Table is an invitation into his refined world of graceful and cultured living. The remarkable collection of table settings and objets d’art housed in his five residences, in Gstaad, London, Rome, New York, and Paris, as well as on his yacht, evoke the grandeur in which he lives and are presented in this first-ever edition with photographs by Oberto Gili. Recipes by Mr. Garavani’s personal chefs are also included and bring readers one step closer to discovering his extraordinary surroundings.